A great egret catches a bass less than ten yards in front of me as the sun begins to rise over Cherokee Lake in Eastern Tennessee. 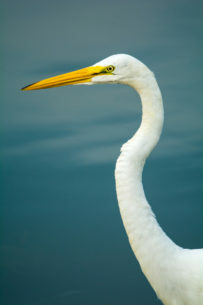 A Great Egret poses for a portrait shop while walking the shore of Cherokee Lake in Eastern Tennessee. This beautiful Egret didn't mind me being close to him, which allowed me to capture such a close portrait.